Danny’s Little Taste of Texas is first in football season catering in South Windsor and all of greater Hartford CT. Football season has begun and you cannot watch a game without yummy foods. Football game entertaining often includes Creamy dips, delicious finger foods, juicy meats and more go great with an exciting football game. Serving various finger food options may be the perfect idea. It is typically hard to get guests off the couch and out of the living room to eat. Do everyone a favor and make it easy to enjoy while watching the game. Danny’s Little Taste of Texas can help you serve the perfect spread. Order a sheet of wings, chicken nuggets, drums and wings, jalapeno poppers, mini tacos, corn fritters, chili con queso and more. We can even set you up with dessert! This season get out of the kitchen and enjoy game day with the crew. Call Danny’s Little Taste of Texas serving you and your family the best game day food around. We’re located in South Windsor CT, and serve all surrounding areas including Manchester CT, Vernon CT and East Hartford CT. We offer delivery and pick up. We will have your entire events food ready for you to pick up in serving trays with plastic ware, plates and napkins. Give us a call at 860-432-9655. Call Danny’s Little Taste of Texas for Party catering in Connecticut. Danny’s Little Taste of Texas is your Number One source of deliciousness. 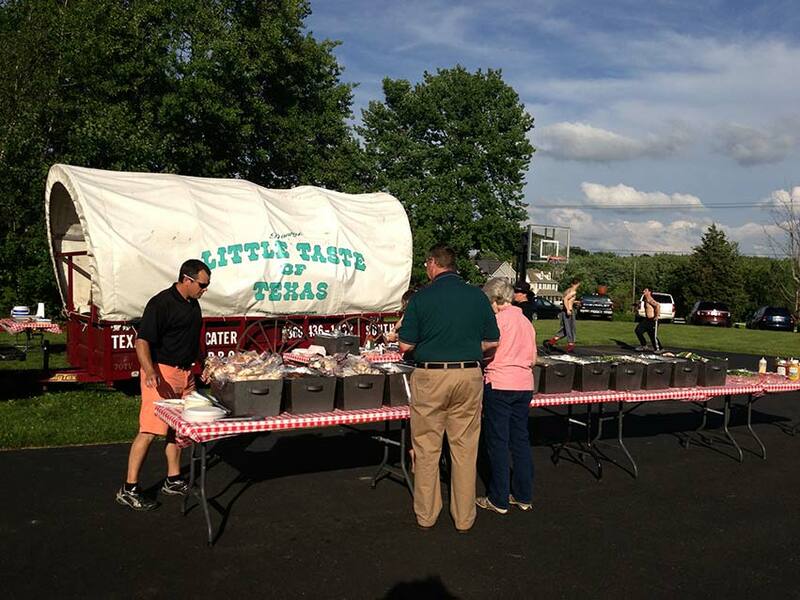 Connecticut’s BBQ Catering King brings a chuck wagon full of authentic Texas barbecue and delectable side dishes. With our signature Texas Style Barbecue, Pig Roasts, Clam Bakes and sides, Danny’s Chuck Wagon will make any party, event or wedding a hit. At Danny’s we take pride in catering your event and will ensure your guest won’t leave hungry. Danny’s can cater for everyone. Although bbq and pig roasts are our specialties, we can even provide vegetarians with a great plate of food. Danny’s Little Taste of Texas has been serving parties of all kinds for two decades and we have catered affairs at the largest businesses in the state. We would be honored to serve your next event. We service the whole state of Connecticut, including greater New Haven CT, Hartford CT and surrounding areas. 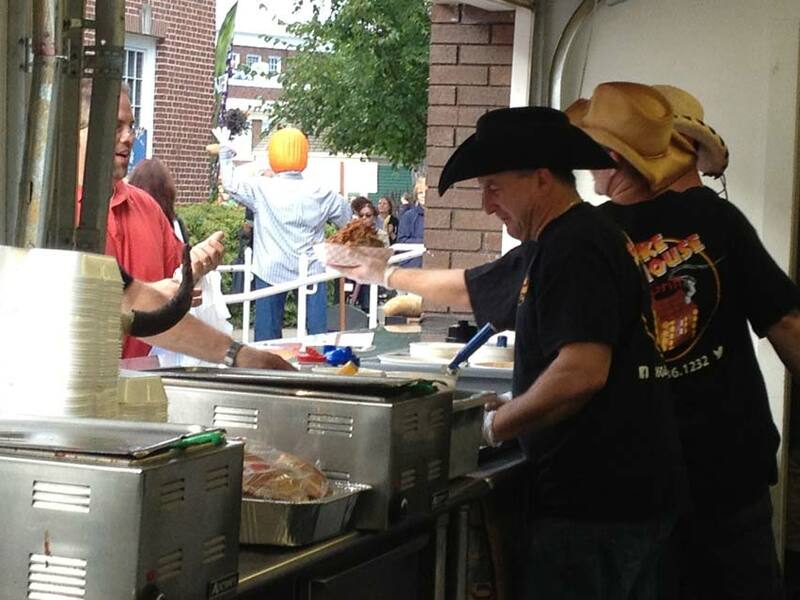 Danny’s Little Taste of Texas is known far and wide for preparing the best Authentic Texas barbecue in the northeast! We feature BBQ style catering ‘Texas Style’: dry rubbing, and slow smoking all of our meats. We would love to prepare your next Take Out meal with our amazing smoky meats and authentic Texas sides. Danny’s is famous for catering the best bbq parties, pig roasts, and clam bakes. Now you can order up enough take out ribs for your next party. You will LOVE our food! Call 860-432-9655 today with any questions you may have.